​No.12 Walker & Hall sterling silver antiques Champagne saucer. 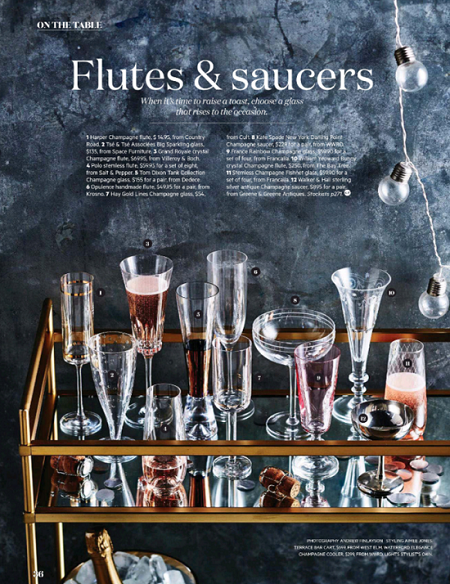 ​Vogue Living Australia, Jewels of the Zodiac, January/February 2016 Edition. 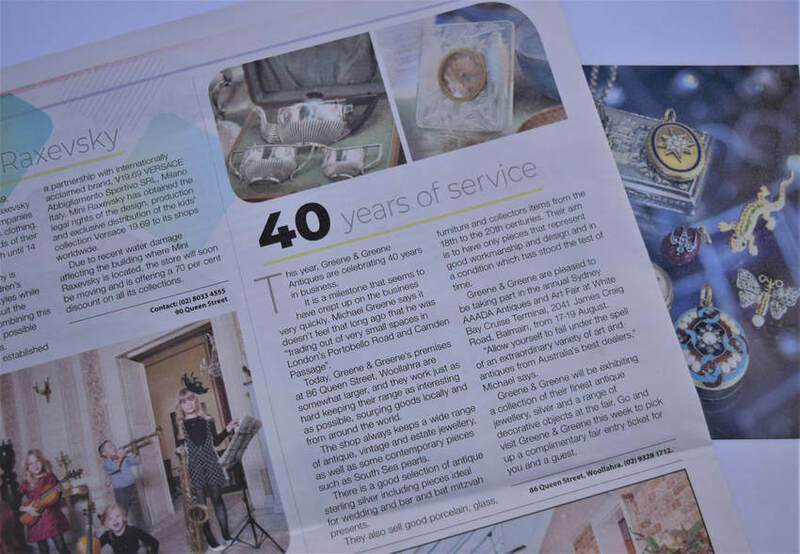 This section shows editorial articles in which our pieces of antique jewellery, silver and decorative objects are featured. Such features include Belle Magazine, Vogue Living, Vogue Bride, and Gourmet Traveller to name a few.